A sister company to longtime Antarctic operator Heritage Expeditions, Wild Earth Travel has for many years promoted and operated expeditions to South Georgia and the Antarctic Peninsula. 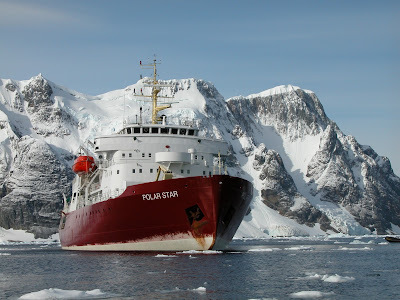 Starting in November Wild Earth will be operating expeditions aboard the Icebreaker MV Polar Star. As the only icebreaker regularly operating on the Antarctic Peninsula the Polar Star offers unrivalled access with all the comforts of a top quality expedition vessel. The vessel will be operating Antarctic Classic and South Georgia Expeditions in addition to its special Antarctic Circle and Weddell Sea Expeditions and it is on these expeditions that the vessels capabilities really shine! Dates and prices have already been released for the 2011-12 Antarctic season and a 5% early booking discount is currently available on all bookings for the 2011-12 season.